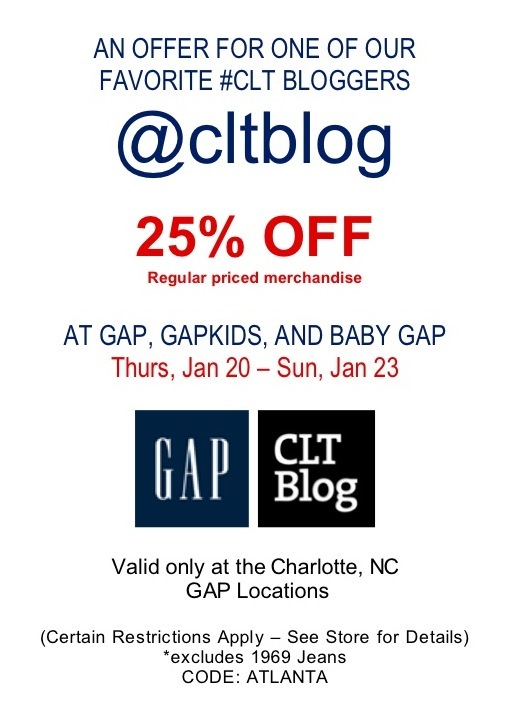 Gap is back with another special promotion for CLT Blog readers. So have at! Show this post, or any associated tweet, to any Charlotte-area Gap store starting Thursday and lasting through this Sunday, Jan 23, and get 25% off your purchase.